Manchester United manager Jose Mourinho has found himself an unlikely ally in the form of ex-Arsenal boss Arsene Wenger. The Frenchman has somewhat surprisingly praised the qualities of the United manager, despite the Red Devils not enjoying the most convincing start to the 2018/19 season. Wenger and Mourinho were also known for their repeated feuds during much of their time clashing in the Premier League. 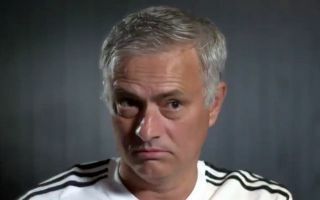 However, it seems that might be in the past now as Wenger suggests United should have faith in the Portuguese tactician after his impressive work in turning results around in recent games. It seems Wenger is crediting Mourinho with master-minding wins against Everton and Bournemouth, whilst also praising the 55-year-old’s all-round experience and quality after a long and successful career at the very highest level. ‘It looks to me that against Everton and Bournemouth he turned his team on the right side in terms of the performance,’ Wenger told beIN Sports, as quoted in the Mirror. How good a job is Mourinho doing at Man Utd right now? In fairness, it’s hard to argue with that, though it is pretty surreal to see Wenger sticking up for Mourinho considering all that’s been said between the pair in the past.